HomeBlogFitness PlanHow to lose weight in one month? Whether the festive season is approaching, or whether you want to stay healthy and in shape, losing weight is a priority these days. With the modern society getting faster each day, it’s important to stay fit and not slow down. But how to lose weight in a month, and how much weight lost can be considered healthy? At Body Transformation System, our online fitness platform, you’ll get best advices on adequate weight loss. 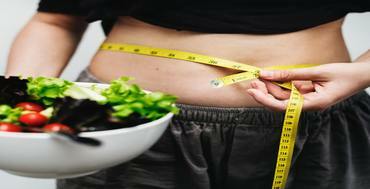 Measure your height and current weight and set a diet plan on weight loss. The smarter you plan, the sooner you’ll achieve your goals. Cut down on the calories. Eat smart and healthy, instead of having lavish meals. Try not to eat processed foods and drinks. Even staples like rice should be avoided as much as possible in order to maintain shape. Stick to the best nutrition and fitness plans. Drink enough water to stay hydrated. Many overlook this important criterion for weight loss. Staying hydrated is a key aspect behind losing weight. Increase your workout intensity. Indulge in more cardio exercises and squats and crunches. The more you work out, the fitter you will be, and the easier it’ll be for you to get in shape. Do not sit idle. Walk as much as you can. An hour of walking can help lose over 500 calories. Sleep adequately. Sleeping too little often leads to gaining weight. Sleeping for 8 hours a day helps with metabolism and activates the brain just enough to not gain weight. Keep track of your progress. That way, you’ll know whether to increase your workout hours or not. Maintain continuity in weight-loss. Too much loss in a month will not improve your health. Weight loss is of the utmost importance to maintain a healthy life. We at Body Transformation System have the best fitness solutions for anybody who needs it. We encourage our customers to stay in the best shape possible, and not fall prey to injuries and diseases that may occur from lack of physical fitness.